In the years since Paramount ditched its numerical title system for Mission: Impossible, the studio has launched a Ghost Protocol and introduced viewers to the long-lost Rogue Nation. But in 2018, all eyes will be trained on Mission: Impossible – Fallout, the sixth installment in the world-famous spy series that looks set to steer the IMF in a totally different direction. Or so says director Christopher McQuarrie. He’s been quietly raising awareness for M:I 6 via Instagram, where curious fans have been treated to a steady stream of behind-the-scenes photos. However, now that Fallout is inching closer to its prime time summer launch, we finally have some official media to pore over. It arrives in good time, too, as Paramount is set to drop the sequel’s first teaser during Super Bowl LII this coming Sunday. 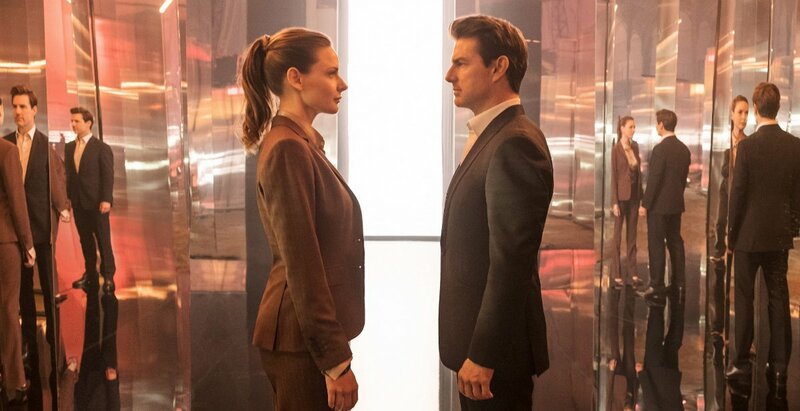 Taking cues from John Wick 2‘s shimmering finale in the hall of mirrors, the first of today’s action shots see Ethan Hunt (Cruise) come face-to-face with Rebecca Ferguson, whose Ilsa Faust was introduced to the hit action series in Rogue Nation. 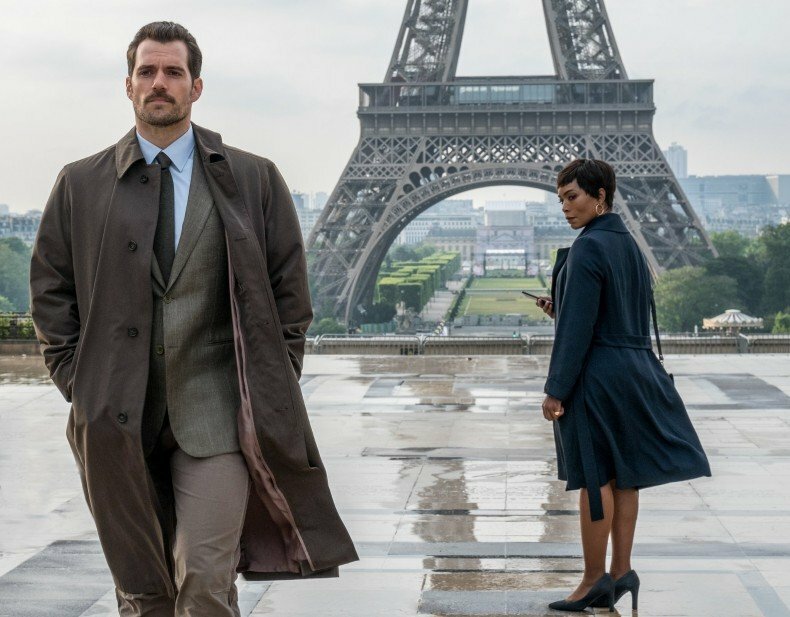 The second still is all about Fallout‘s headline-worthy newcomers: Black Panther‘s Angela Bassett and Henry Cavill and his by-now infamous mustache. 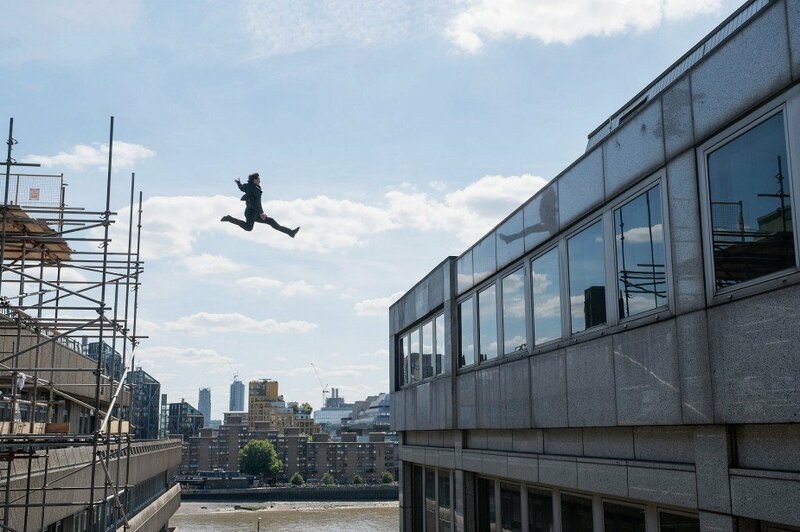 There’s the notion that what’s happened in the movie is the end result of choices that Ethan Hunt has made in his life. It’s Ethan’s past come back to haunt him. It’s the fallout of all his good intentions. It’s purportedly a “different kind of movie,” and with the first teaser trailer locked for Super Bowl LII, Mission: Impossible – Fallout is ready to showcase its wares ahead of a theatrical release on July 27th.